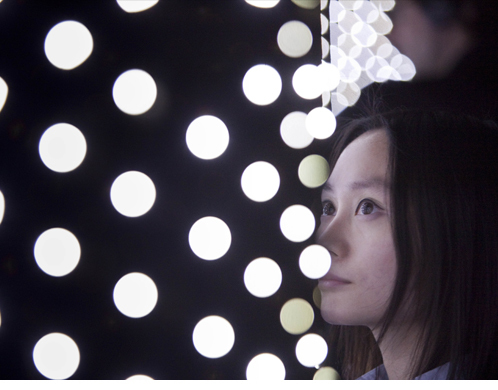 The 'E-Static Shadows' installation explores the speculative arena of electrostatic: its possible readings in relation to human interactions within physical space and the poetic potential of static electricity surrounding our everyday lives. The project proposes a reflection on the energy resources of our planet and investigates the human body as a generator of energy. By doing so it also advances the potential for technology that allows us to interact with the omnipresent but hidden electrostatic forces. 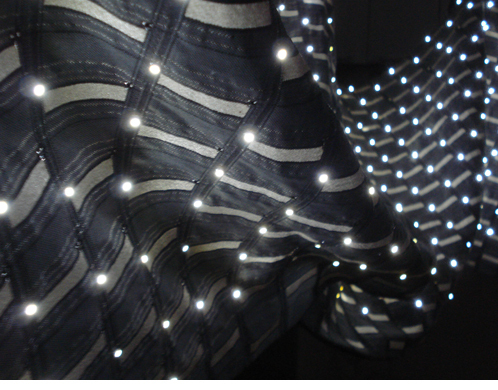 The soft light installation registers the amount and intensity of the charges exposed to the sensory electronic textile membrane translating them into a series of transient audio-visual patterns onto the surface of the cloth. Being an analogue electronic textile system, which responds directly to electrostatic charges produced by visitors as they interact with various materials, the 'E-Static Shadows' membrane performs as a static mirror, translating the charges into our sensory modes. 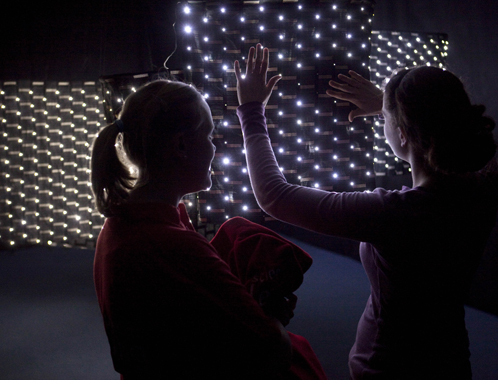 A simple interaction with our physical world such as friction from clothing, hair, other materials or walking pass by the installation creates a charge between materials through movement and thus - powerful audio-visual shadows. 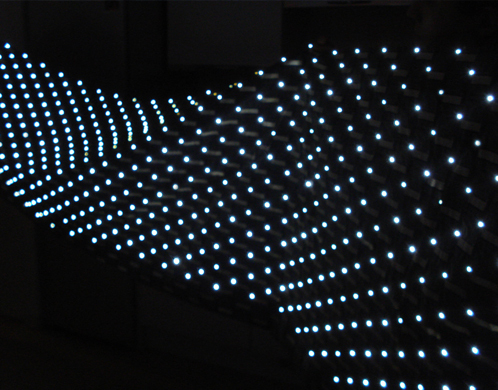 Transient shadow patterns on the architectural e-textiles membranes are created as the integrated LED lights, interconnected by woven circuitry, turn off in places where the membrane is detecting static charges. The e-cloth also acts as a simple sonic instrument in response to the presence and intensity of the charges and human proximity.